In 1988, the same year that APS was founded in the United States, psychological scientists in Australia faced a major education reform that greatly expanded the number of universities in our country: The Australian government converted many colleges of advanced education into universities. These new institutions often had few research traditions but taught some elements of psychology, usually with an emphasis on counseling. Accordingly, pressure mounted for the accreditation of an increasing number of professionally based undergraduate programs in psychology with much less content in basic science than traditionally had been the case. The Australian Psychological Society (Australia’s largest professional association for psychologists) formally endorsed a rigorous scientist–practitioner model. However, Syd Lovibond and other psychological scientists believed that the pressure to accredit new psychology programs often weakened science in practice by allowing compliance with the letter of the accreditation guidelines but not necessarily with the spirit. 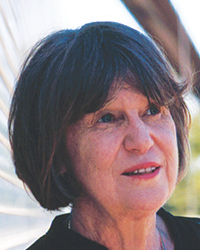 Lovibond, a professor at the University of New South Wales (UNSW), founded the Psychology Foundation of Australia (PFA) in 1993 with the goal of bringing together Australian psychology departments that had well-developed basic research programs, high entry standards for professional postgraduate degrees, and a commitment to the scientist–practitioner model of professional education and practice. Members of the PFA were not individuals but departments, represented by their heads and one or two other faculty members. In 1998, during a period when student numbers were increasing but university budgets were declining, several national meetings called attention to concerns that financial pressures were threatening scientific standards. Some departments considered cutting laboratory programs and argued for de-emphasizing training in the experimental bases of psychology to allow room in the undergraduate curriculum for more professionally oriented units. Perhaps as a result, the 1998 meeting of the PFA was attended by the psychology department heads from nearly all of the leading research universities in Australia (UNSW; The Australian National University; Macquarie University; and the Universities of Sydney, Newcastle, Melbourne, Western Australia, Queensland, Adelaide, and Tasmania). Under APS Fellow Barbara Gillam (PFA Chair, 1998–2006), the large group addressed the need for action to combat declining scientific standards. The group decided that each PFA member department would pay a small annual fee, and office bearers were appointed from across the country. From 1998 on, the PFA has prospered with 12 member schools (Flinders University and University of Wollongong joined the 10 schools listed above), most of which send a representative (usually the psychology department head) to the annual PFA business meeting. Members of the PFA remain active in the Australian Psychological Society, serve on its committees, and continue to influence its procedures and guidelines. The PFA functions as a source of support for those committed to its standards. In addition, it acts as a lobby group within the Australian Psychological Society, registration boards, state governments, the federal government, and other bodies that impact the education of psychological scientists and the professional practice of psychology. In between its formal meetings, PFA coordinates submissions to government and professional publications and distributes information relating to the research, training, and conduct of psychological scientists. Australia has developed a fairly standard university path to professional accreditation for clinical psychology practitioners. Practitioners must meet guidelines developed by the Australian Psychology Accreditation Council (APAC), which in turn reports to the Psychologists Board of Australia, which controls professional registration. Undergraduate programs must have a relatively high concentration of psychology courses with a breadth of coverage of the basic discipline and also exposure to advanced level units. A fourth (honors) year consists primarily of a substantial independent research project, plus some advanced coursework. The theses arising from the research projects are similar in scope to a small journal article and often form all, or part of, a joint publication with the supervisor. An accredited 4-year undergraduate degree is required for entry to professional postgraduate programs based on the scientist–practitioner model. Programs vary, but by establishing a minimum accreditable standard, policymakers ensure that high-quality students enter masters- or PhD-level postgraduate training programs that lead to registration in a specialized area of practice. This process also allows practitioners to satisfy a general registration requirement with 4 or 5 years of academic training followed by 1 or 2 years of supervised practice; however, the PFA has always taken the view that training should be more extensive than this system requires. Although psychology still draws students from both science and arts faculties, all undergraduate students must now follow an evidence-based structure, which includes research training, in order to meet later accreditation standards. The organizations that represent psychology need to continue their efforts to ensure that resources are adequate for, and departments are supported in their commitment to, providing rigorous training in the wider discipline of psychological science. Fortunately, Australia’s strongest universities are highly regarded, with 6 ranking in the top 100 of the 2014 Academic Ranking of World Universities and 8 ranking in the top 100 of the 2014 QS University Rankings. Australia’s strongest psychology departments also rate well in international rankings (e.g., 8 in the top 50 of the 2014 QS rankings), each offering both a broad education in psychological science and a strong research environment. The national scene has undergone a decade of rapid change with the introduction of a national registration system for professional psychologists, revisions of the training-qualifications framework in the national university system, and declining per-capita funding levels. Each of these changes has required careful consideration, and the PFA took an active role in formulating policy suggestions intended to ensure that neither the breadth of training in the discipline nor the solid scientific base were displaced by new undergraduate curricula focused on practitioners. 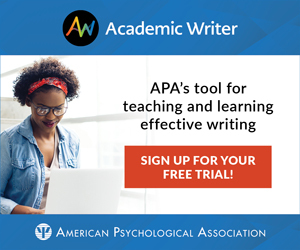 Under APS Fellow David Badcock’s chairmanship (2007–2015), the PFA also recognized the need to build a cohort of effective voices for making psychological science part of national conversations. In order to achieve this goal, the PFA has become a member of Science and Technology Australia, an association of societies that represents 68,000 scientists and technologists, and promotes their views on a wide range of policy issues to government, industry, and the community. The PFA’s aim is to achieve a more central role in Australian policy creation in the very broad range of areas where psychological science is relevant. Critical psychological knowledge is not being considered in relation to important social issues, such as the impact of enforced detention on asylum seekers (e.g., Robjant, Robbins, & Senior, 2009) and on the staff who run detention facilities (Haney & Zimbardo, 1998; Lovibond, Adams, & Adams, 1979). These issues all show there is further work for the PFA to do. To foster a pool of scientists who can speak for psychology in Australia, the PFA has sent two representatives (usually early- to mid-career researchers) to Science Meets Parliament each year since 2006. This annual training event allows leading scientists, parliamentary staffers, and politicians to discuss how best to make a case for science. In addition, the representatives have a sequence of meetings with parliamentarians (usually two scientists to one parliamentarian) during which they can discuss their own research, issues of particular interest to the parliamentarians, and the practicalities of an early-career scientist’s life. This process is gradually building a body of knowledgeable people that the PFA hopes will make a consistent contribution about psychological science to the national conversation. The event is always well-received by our nominated scientific representatives, some of whom also have been featured in the Observer editorial series “Rising Stars” (e.g., Paul Dux and Shayne Loft). A testimonial from 2015 representative Olivia Carter is available at. The PFA also has tried to promote a broad view of psychology in the community. It created a document that has been used nationally in school curricula and that draws attention to the range of applications of psychological science, and has also worked to direct research highlights to the national press. This latter goal has been facilitated with the advent of The Conversation, a collaboration between Australia’s leading research-intensive universities and journalists to convey solid evidence-based science to the community. Items from PFA member departments have appeared in this forum on a regular basis. We encourage other APS members to consider using this outlet. Haney, C., & Zimbardo, P. G. (1998). The past and future of US prison policy: Twenty-five years after the Stanford Prison Experiment. American Psychologist, 53, 709–727. Lovibond, S. H., Adams, M., & Adams, W. G. (1979). The effects of three experimental prison environments on the behavior of nonconvict volunteer subjects. Australian Psychologist, 14, 273–287. 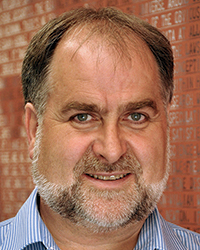 APS Fellow David Badcock is a Winthrop Professor and Australian Research Council Professorial Fellow at the University of Western Australia. Badcock began his 9-year term as president of PFA in 2007. His research focuses on visual perception, specifically the perception of motion, pattern, and position information and its application to groups with abnormal perceptual processing. APS Fellow Barbara Gillam was a Scientia Professor at the University of New South Wales where she is now Professor Emeritus. She served as president of PFA from 1998 to 2006. Gillam’s research focuses on visual perception, including depth perception and stereopsis, visual illusions, the perception of surfaces, and perception of art.